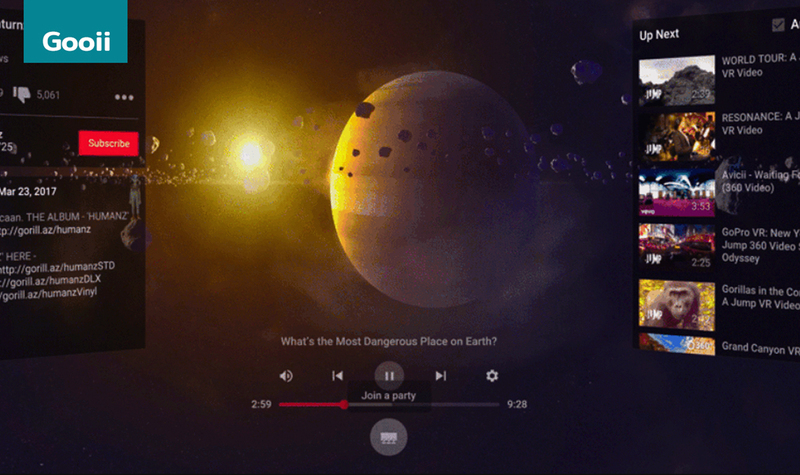 YouTube is expanding its virtual reality app to support Samsung’s Gear VR devices. It’s also adding a new feature that lets users watch a virtual reality video together and chat. If you own a Gear VR device, you can now download the app from the Oculus Store. YouTube has been conspicuously absent from the Oculus Store. This has proved to be a significant selling point for Google’s Daydream VR platform, although it’s also available on PlayStation VR headsets, and Oculus Rift or HTC Vive users can access it through SteamVR. You could access YouTube through the Gear VR’s web browser, but this update still closes a notable gap in the Gear VR’s video ecosystem. YouTube doesn’t mention supporting Oculus’ new mobile device, the standalone Oculus Go. Users can now also party up with friends or strangers to watch and chat about videos together in a VR space. In the example YouTube gave, users can ride a virtual car together or watch other VR videos. To access the feature, tap the Watch Together icon located under the play controls on your Daydream View or Gear VR headset. Google first announced the social YouTube VR features last year during its developer conference, but it looks like they’re only fully rolling out now. YouTube also announced new VR experiences, including backstage views of Hayley Kiyoko and Portugal. The Man as they prepare to put on a performance. You can also watch the daily routines of notable female leaders in a series titled The Female Planet. Gooii are award-winning virtual reality, UI/UX designers, website designers and we can ensure that your experience engages and inspires users. If you wish to work with our talented teams then please get in touch here.